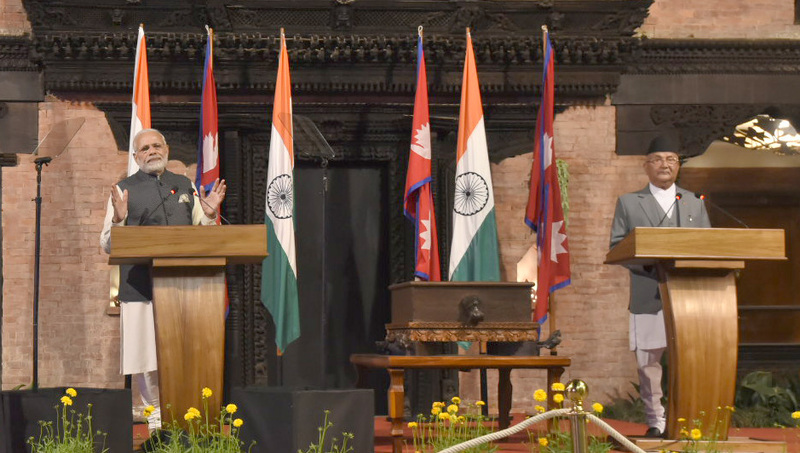 The Nepal-India Eminent Persons’ Group suggested both the countries to update the present framework of bilateral ties. In its meeting held on June 30 at Kathmandu, the EPG asked both sides to adopt a new framework of bilateral ties. The EPG on Nepal-India relations was of the opinion that both India and Nepal governments should modify present treaties against the backdrop of changed regional and global context. Nepal has been demanding the replacement of the treaty as it is ‘unequal’. The EPG will submit its report to Prime Ministers of both the countries. He said the EPG report will ensure friendship between Nepal and India would touches new height. The EPG has four members each from the Nepalese and Indian sides. Members from Nepal include Bhekh Bahadur Thapa, Nilambar Acharya, Suryanath Upadhyay and Rajan Bhattarai while members from India include Bhagat Singh Koshiyari, Mahendra P Lama, Jayanta Prasad and B C Upreti.